Orlando, Fla. – Crossman & Company President John Crossman will serve as a featured speaker at the International Council of Shopping Centers (ICSC) Certification Breakfast & Info Session on Sept. 1. The session will explore the ins and outs of the ICSC Professional Certification Programs, providing a better understanding of the purpose, prerequisites, process and preparation involved in getting certified, an inside peek at certification exams and about what the credentials mean to ICSC-certified industry leaders. 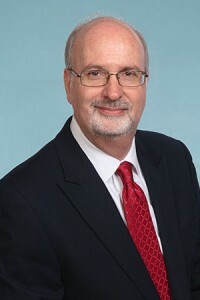 Crossman is president of Crossman & Company, one of the largest retail leasing, management and investment sales in the Southeastern United States, with more than 20 million square feet of properties located in Florida, Georgia, Alabama, South Carolina, North Carolina and Tennessee. Under Crossman’s leadership, alongside his brother Scott, Crossman & Company has been named one of the “Best Places to Work” by Florida Trend magazine. They are known in the industry for their community service, social media, education and diversity initiatives. Crossman works closely with many historically black colleges and universities to promote real estate education. The Certification Breakfast & Info Session will take place from 8 to 9 a.m. on Sept. 1, at the Orange County Convention Center in Orlando. Orlando, Fla. – Crossman & Company’s Consulting Associate Thomas Bolen will serve as a featured speaker at the International Council of Shopping Centers (ICSC) Florida Conference & Deal Making on Aug. 31. 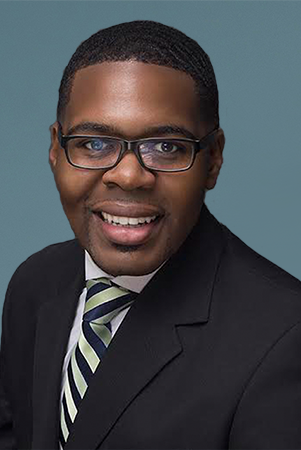 Bolen, a 2015-16 ICSC Foundation Fiala Fellow, will speak about his Fiala Fellowship and plans to increase the representation of Historically Black Colleges and Universities (HBCU) and its students within ICSC. Of the more than 1,400 student members in the ICSC, only 17 of them are HBCU students; and only two of the more than 400 schools represented within the ICSC are HBCUs. He will push to increase the HBCU’s student membership from 17 to 30 and to increase the HBCU’s representation from two schools to eight schools. Bolen also will lay the groundwork for the first HBCU represented at RECON. Bolen will speak during the conference’s Breakfast/Opening Remarks & Program Overview, which will take place from 7:30 to 8:30 a.m. on Aug. 31 at the Orange County Convention Center in Orlando. The annual ICSC Florida Conference & Deal Making will take place from Aug. 30 to Sept. 1 at the Orange County Convention Center in Orlando. Orlando, Fla. – Crossman & Company’s Dan Colachicco has been promoted to Senior Managing Director of Brokerage Services, where he will oversee the leasing and investment sales teams. Colachicco has been a leader in the commercial real estate industry for more than 35 years, and has been involved with hundreds of millions of dollars in transactions. He previously served as the company’s Director of Investment Sales. 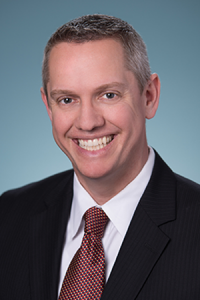 “We are excited to promote Dan to Senior Managing Director of Brokerage Services. He is a seasoned veteran in the industry with a depth and breadth of experience that will further strengthen our brokerage team as we grow,” said Crossman & Company President John Crossman. Prior to joining Crossman & Company, Colachicco served as a Senior Vice President with NAI Realvest and was the Regional Manager for the Orlando Office of Marcus & Millichap. Colachicco has trained and developed hundreds of commercial real estate professionals during his career. Colachicco is a member of the International Council of Shopping Centers and a past board member of the Alzheimer Resource Center.